Some folks like to get up early and start the day with a wedding ceremony. I know we do! Hitting the beach when the sand is still moist and cool and the sun hasn't gotten high enough to cause deep shadows is a magical experience. The beaches are generally empty in the early AM and if it is Makena Cove we are talking about, well, that is an extra special experience. 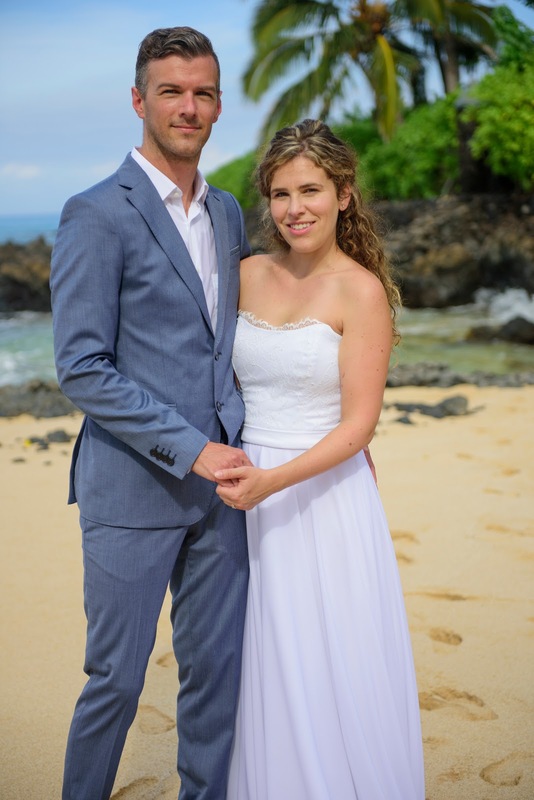 Audrey and Sebastien brought their 2 little ones along for our Morning Special Maui Wedding Package at Makena Cove a few weeks ago. We had a perfect cloudless morning with very little wind to mess the hair and that super deep blue sky and ocean that is a Maui trademark. The Rev. 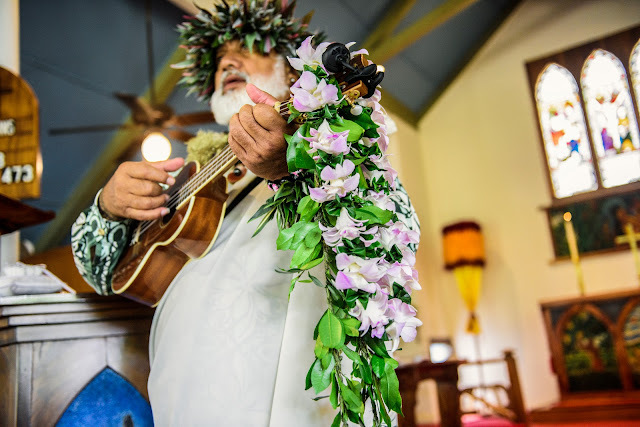 Laki Kaahumanu performed his usual robust wedding ceremony complete with ukulele and the photography was handled by Maui Wedding Photographer Joe D'Alessandro. 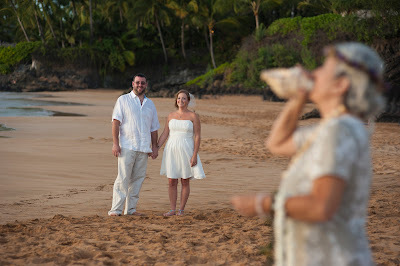 We love to perform these short and sweet little ceremonies under a vibrant blue sky for those couples who are eloping and want a romantic memory to share without all the stress and hoopla of a traditional wedding. 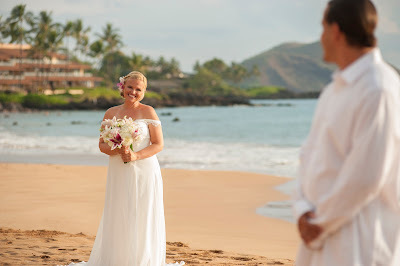 Nothing could be better than a morning oceanfront Maui wedding with your toes in the sand and then heading off for a nice breakfast and the rest of the day to enjoy on the best island in the world: Maui.